Prepaid Credit Cards, perceptions and realities. 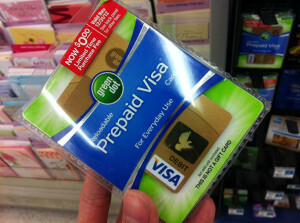 In the general public today, the perception of the prepaid debit and credit cards continues to not be very positive. The main reason for this belief is that they include high fees and higher interest rates. Also, many believe that people who use these cards have bad credit and not good at managing their money. In many ways, these types of cards have come a long way. The convenience of purchasing these cards has got much easier. You are now able to use at all ATM machines and some options include a savings accounts and bill pay. When you are able to have a savings account attached to a prepaid card, it often requires a minimum deposit and typically a direct deposit account with a minimum of $500.00 per month going into it. The interest is paid on a maximum balance which depends on the card. Some interest rates are low, but this rate is tied to the amount of money in your account. The fees that are associated with these cards are not as high as you might expect. If you compare it to your bank card, the overdraft fees are significantly lower, about $5.00, compared to your bank that might charge $35.00. As with everything, there are a few downsides to the cards. If you were to have it stolen or you lost it, it is not very secure from unauthorized use. Additionally, the FDIC, Federal Deposit Insurance Corporation typically do not insure these cards. 1. American Express Prepaid Card. A bank-certified prepaid card, the AmEx Prepaid Card has no activation fee, no reload fee (for placing money onto the card) and offers direct deposit. There is a $2 ATM withdrawal fee, however the first ATM withdrawal of every month is free. 2. American Express Bluebird Prepaid Card. This is one step up from the previous card in some aspects, which comes with 24/7 customer service, purchase protection, fraud protection, roadside assistance, and discounts for entertainment events, such as concerts and movies. Load this prepaid card via direct deposit or from other bank accounts while paying no monthly fees. 3. Green Dot Card. The only non-bank related card on our list, the Green Card gets rid of the activation fee if ordered online, and includes a small $5 purchase charge if bought in a store. A monthly maintenance fee of $5.95 is erased if the user has at least 30 purchases per month, or more than $1000 on the card, and no ATM fees.